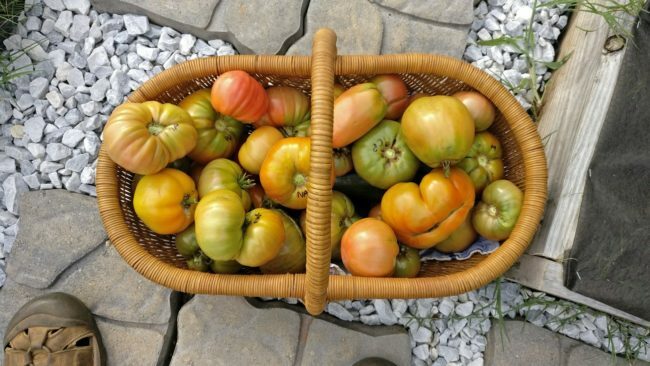 We’ve just past Labor Day here in the US, and other than a Sungold plant which keeps on cranking out sweet day-glow orange cherry tomatoes, the rest of the garden has pretty much ground to a screeching halt. I’ve pulled most of the tomato plants, and have put in a few rows of Duke green beans and Chiogga beets and will soon sow Parsnips and other cool weather crops. Oregon Sugar Pod II snow peas will follow thereafter. For my first year in South Carolina, the weather was absolutely splendid. I experienced all four seasons, with a full 2 months of Spring and a gradual and refreshing transition from Summer into Fall. Apparently that was only a tease, as I haven’t witnessed anything remotely resembling that first year of paradise in either 2016 or 2017. After a soggy Spring that just never seemed to warm up, the blast furnace suddenly kicked on in late April and an unrelenting heat held fast for nearly four months. Indeed it is only in the past few days that I have enjoyed spending any length of time outside except for the occasional pleasant morning. While the weather conditions in 2016 differed some, the early onset of unbreakable heat afforded the same result in my garden. 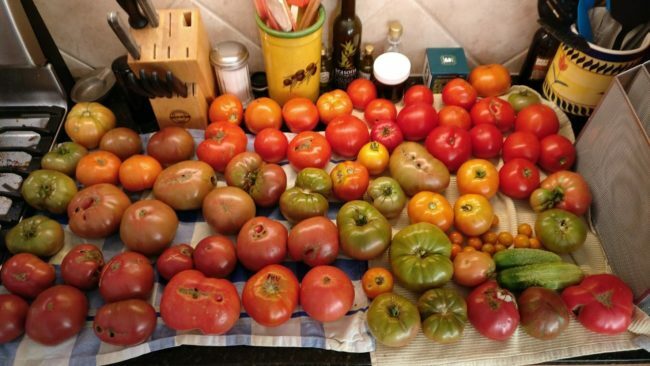 While I certainly have had some good harvests here and there, it is nothing compared to what one should expect from 30 healthy tomato plants. Even in a bad year, expecting 10-20 lbs of fruit from each plant is completely reasonable, yet I didn’t pick anything close to 600 lbs. 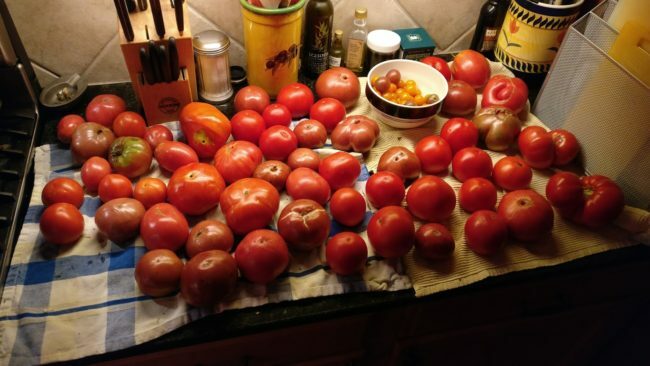 Considering my time and financial investment in the garden, and how much I enjoy sharing tomatoes with friend and family, I was hoping for a bit more. Again not a terrible harvest by any stretch, but I picked twice as many in Houston with fewer plants, and that’s a more challenging climate. Assuming we’ll continue to experience unseasonable warmth in future years, I intend to build and install a Hoop House for 2018. This framework over one of my garden beds will allow me to start seeds at the frighteningly early dates of January 31st through February 15th and have plants in the ground as early as March 15th. So far, I had been following the local advice to hold out until April 15th. Having plants out in the elements so early does mean I will have to keep an eye on impending frosts and freezes on Weather Underground or NOAA and if one is predicted, provide supplemental heat. I will have backup plants started should the worst happen. 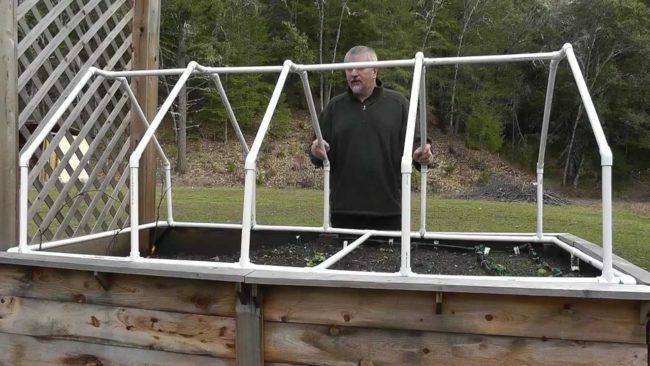 Example of a hoop house frame. 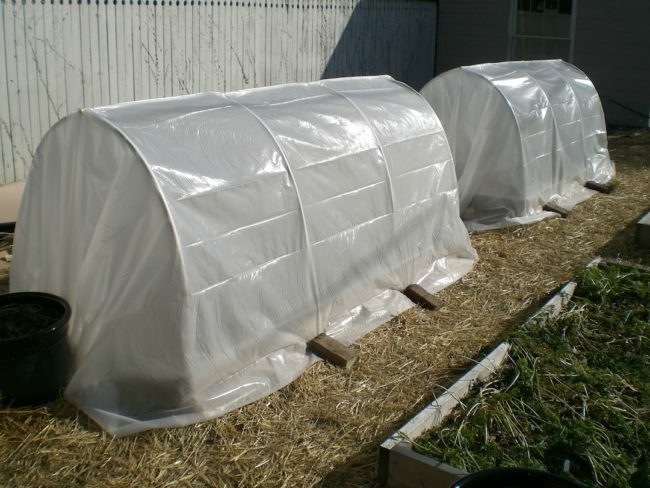 My hoop house will be a bit more wind- and rainproof than this informal setup. Black Cherry Purple cherry A+ flavor; I bought this plant at a big box store and unfortunately it was late going in the ground so productivity was significantly affected. It’s like a miniature Cherokee Purple and I love the flavor. However putting it right next to unruly child Sungold was a mistake, as it was almost immediately crowded for space. 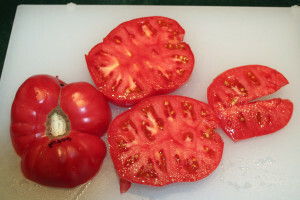 Cherokee Purple Medium purple beefsteak A++ flavor; As i tell people, this is the variety that keeps me growing tomatoes. If I have a complaint, it’s that other than a few large ones early on, these got small pretty quick. 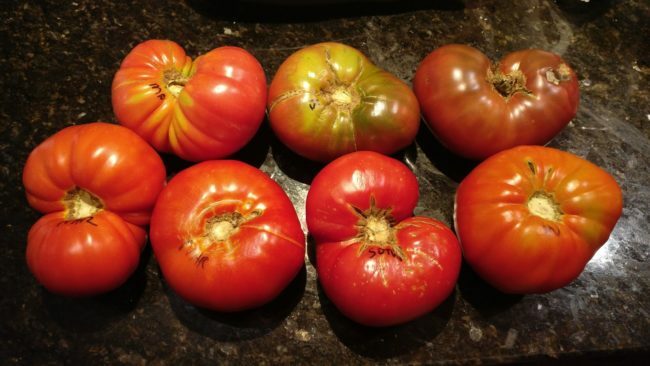 Indian Stripe Medium to large purple beefsteak A+ flavor; Long lost relative to Cherokee Purple with a very similar flavor, but IS can produce some larger fruit. 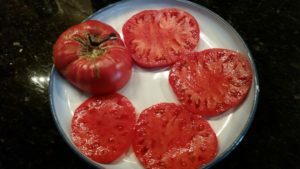 Earl’s Faux Medium to large pink beefsteak A++ flavor; What can I say but this is currently my absolute favorite pink beefsteak? Kalman’s Hungarian Pink Medium paste/plum tomato I had high hopes for this variety, but it just did not produce much and was very late in the season. I don’t know that I tasted a good example. In other gardens, I’ve seen it crank out 50 plum/paste tomatoes destined for sauce or sandwiches (it’s that good raw). 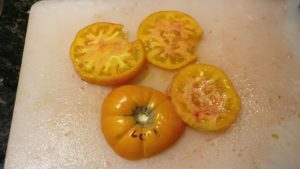 Lucky Cross Medium bicolor yellow/orange beefsteak B+ flavor; Only got a couple from this one, but very tasty zippy bicolor taste. Hoping that an earlier start next year and improved organic matter in the soil will help bring this up a notch. 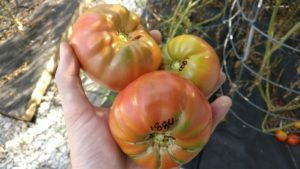 Marianna’s Peace Medium to large pink beefsteak B+ flavor; This was a hot year which may have stressed these, as they have normally had very good flavor. Based on this year’s result, I should have just grown more Earl’s Faux! Neves Azorean Red Large red beefsteak A- flavor; This was my first year getting a decent harvest of NAR. I am rarely impressed by red tomatoes, but this one really hits the flavor notes and produced well. Definitely returning for 2018. Pink Berkeley Tie Dye Medium to large multi-colored beefsteak B+ flavor; The striking coloration of PBTD is what drew me to the variety and this was my second year growing it. I wish I had cut into one that was as colorful as other examples I’ve seen. It has all the smoothness of a purple, but an added zing. Will give it a couple of spots next year. Stump of the World Large pink beefsteak A++ flavor; Seed catalogs promise huge tomatoes for nearly every variety, but this one — collected and shared by Ben Quisenberry of Brandywine fame — actually delivers. I got another near-2-pounder this year, and the flavor is tops, making me wonder why I only grew 2 plants of it. Sungold Orange cherry A++ flavor; Frighteningly productive sprawling cherry that invades nearby cages no matter how hard to try to contain it. I almost need to make a special cage for it. It’s funny how the flavor changes so much between picking it just-ripe or dead-ripe. It goes from crisp-and-tart to soft-and-fruity. Wes Large to very large pink oxheart B++ flavor; A late bloomer this year which made it difficult to pick a really good representative and compare its flavor. I know how productive it can be, as I have seen two plants side-by-side with a combined 70 lbs of tomatoes hanging off of them. Next year, assuming my harvest cooperates, I will try to do a photo (montage?) of the varieties I’m growing on labeled plates so it’s easy to see what they all look like. Despite promising myself I would do a second wave, I only started one batch of tomato seeds this year. As a result, my plants all went in the ground around the same time and produced most of their harvest within a concentrated period of a few weeks. 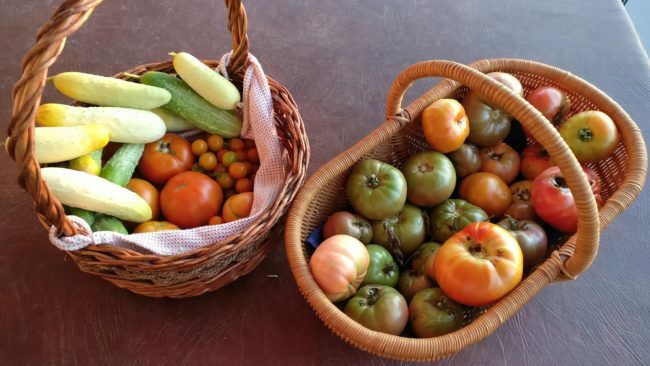 Given our luxurious 7 month gardening window here (compared to the 4 month race in Houston), it seems silly not to take advantage and start a few plants earlier, a few plants later, and get a longer staggered harvest instead of everything coming due at the same time. Don’t Forget to Enjoy Them! After focusing so much on getting the tomato seeds sown, transplanted, caged, labeled, mulched, fertilized, watered, and weeded, my brain is toast! When the ripe ones finally arrive, I completely forget all the wonderful recipes and ideas of how I was going to prepare and enjoy the tomatoes. Other than Roasted Tomato Sauce, I find that I end up just eating endless sandwiches (with Duke mayonnaise of course) and making the occasional Pasta Salad. I did make and freeze several heirloom tomato pies which I hope to enjoy in the colder months. I’lll post a separate article. Next year I need to get serious about some of the interesting ways to feature and serve heirloom tomatoes, such as Caprese Salad with fresh basil and mozzarella.